Char Bar accommodates a broad range of special events, for small groups and large. Food can be ordered from the main menu, and we can also work with you to develop a special menu for your group. 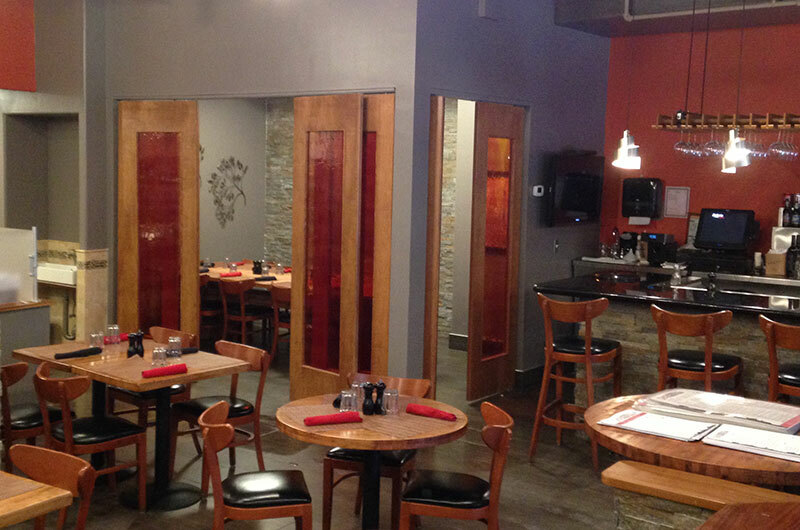 The entire restaurant can be reserved for private events, and we have private room seating for smaller groups. 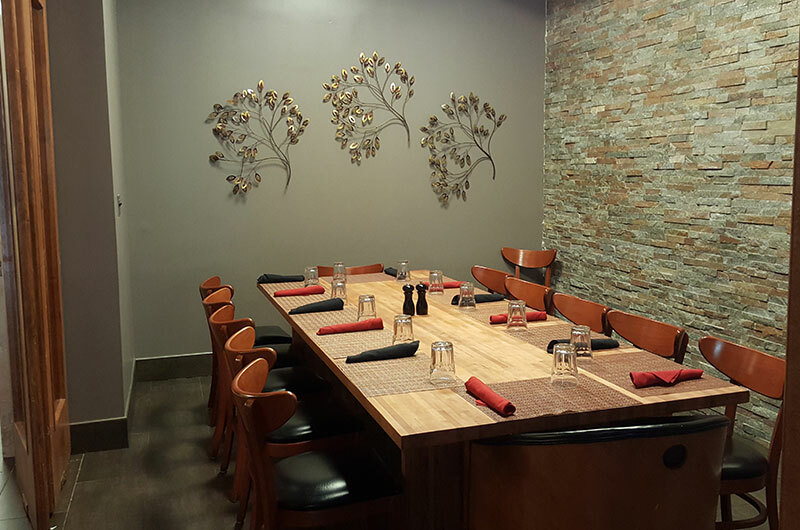 Our private dining room seats 14 adults, and is available for groups of 9 or more. The private room features pivoting doors with stained glass panels that provide privacy with beauty, a handsome custom-built table, and a striking quartzite and stone wall. A drop down projection screen is also available for presentations, together with a high resolution projector. A second and more secluded room seating up to 30 adults is in the works. With attractive finishes, a dedicated bar serving wine, beer, and soft drinks, a private washing sink, and an extra-large flat screen monitor, the room will be ideal for events of all kinds. We expect it to be available in late July 2015. Please note that our customers make private room reservations well in advance of their events, so it is always a good idea to plan and reserve ahead. Kosher steaks, burgers, deli sandwiches, BBQ and more in Washington, DC. Have been to Char Bar multiple times now and never disappointed. Great location, great food, great ambience, and friendly and welcoming staff.